Black soy sauce is an ingredient often used in Chinese recipes for cold noodles, such as Barbara Tropp’s Tangy Cold Noodles. Its Chinese name, according to Tropp, translates to “old-head” soy. 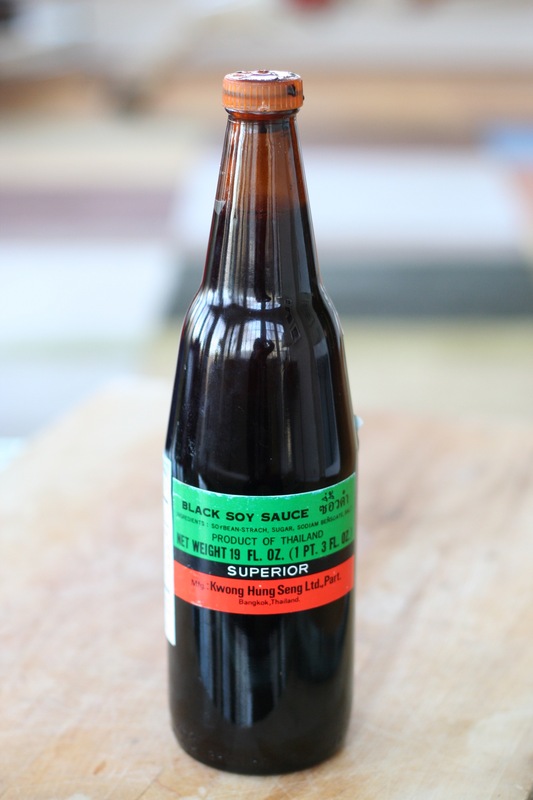 Black soy sauce is aged longer than other soy sauces. Toward the end of the fermentation process, molasses is added, resulting in a darker, more caramel-hued soy sauce. Black soy sauce is also used to season red meats and any dish in which you want a darker, fuller color. 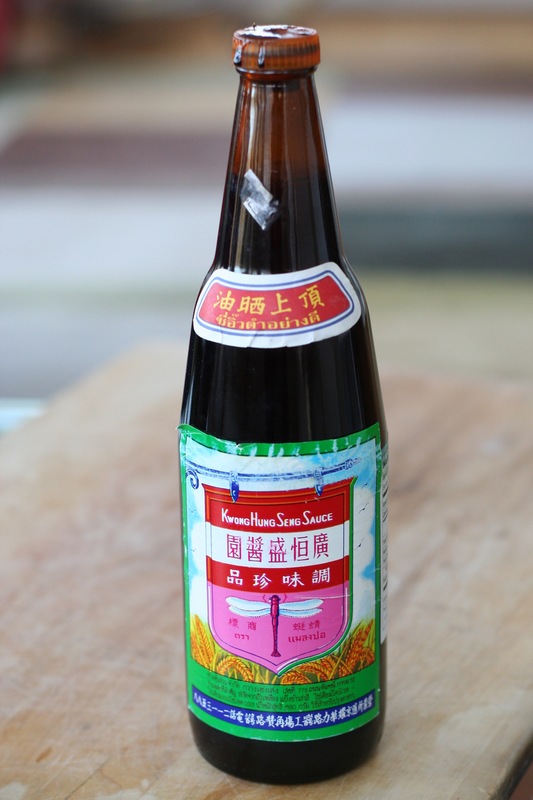 You can find black soy sauce in Asian markets. Store it away from light and heat. I doubt you will use it often, but it is indispensable for the dark color and slight molasses flavor it adds to dishes. It may become sludgy towards the end of it’s life, but the flavor remains intact. This entry was posted in Cooking Basics, Sauces, Dips, & Condiments and tagged Chinese, cooking basics, soy sauce. Bookmark the permalink.